Over 17,000 people flocked to the northern end of Portland this year, braving the cold interior of a vacant building with their plaid shirts, in order to drink PBR, listen to loud music, and look at the occasional motorcycle. Yes, it us that time of year for The One Motorcycle Show in Portland, Oregon. More than just a much larger venue, The One Moto Show continues to gain traction with vendors and sponsors, all the while attracting more and more bike-curious attendees through its doors. Main-lined into the zeitgeist that we recognize as two-wheeled hipsterdom, “mainstream” motorcyclists can roll their eyes while shuffling through the PDX masses, but you cannot deny the pulse the show keeps with younger motorcyclists. As such, there were more than a few pillars of the motorcycle industry circulating in the show’s ranks – all incognito, of course – trying to understand how the next generation interacts not only with motorcycles, but also with each other. Over 150 bikes were on display for those in attendance – I heard a figure as high as 170 motorcycles were hidden throughout the multiple rooms and floors of the show’s venue – and a couple trends struck me over the course of the show. In the event’s 76-year history, this year marks the first time that Ducati has ever participated at the Sturgis Motorcycle Rally – the Italian company hoping to showcase its Harley-Davidson alternative, the Ducati XDiavel. Helping fuel that fire was a collaboration between Roland Sands Design and Ducati, which has given way to the creation of a one-off XDiavel with the usual RSD touches. This means a flowing single-piece body, the addition of a 19″ front wheel, and shotgun-style exhaust are added to the already stylish XDiavel. The RSD Ducati XDiavel is then finished off with metallic flake paint job, along with the usual bits and bobs from the RSD catalog. There is a lot of “Southern California” transmitted through RSD’s design into the Italian-born XDiavel. It makes for an interesting mixture. We’ll be curious to see how this resonates with American cruiser riders. If you’ve ever wondered what the FZ-09 would look like as a café racer, the Yamaha XSR900 is it. Fresh off its EICMA debut, the 2016 Yamaha XSR900 is the Japanese brand’s attempt to build out its “sport-heritage” line. That is to say, it’s Yamaha’s attempt to appeal to the skinny jean and beard crowd. That’s about all the hate we can muster for the Yamaha XSR900 though – probably because we used it all up earlier on the Yamaha MT-10 – but truthfully, Yamaha’s appeal to the “heritage demographic” feels a lot more genuine than say, a certain Italian brand that also debuted a hipster bike today. A little something to end the week with, Roland Sands Design has put together a video called “Art of the Machine” that is a bit different from the usual fare you find in the motorcycle industry, even from the exceptional creative types at RSD. Using a kaleidoscope treatment on a series of fabrication and riding clips, the short film has an eerily dark and deep feel to it. You don’t have to be a fan of RSD’s work in order to become enthralled by the mesmerizing visual and audios here, and while we’re not quite sure why we like it…we know that we just do. Obey. Late last year, we said that BMW Motorrad was working on a special air-cooled motorcycle to help commemorate the German company’s 90th anniversary of making motorbikes. Well, today we get to see what zie Germans have been up to, and it is called the BMW Concept Ninety. Taking its cues from the BMW R90S, which itself turns 40-years-old today, the BMW Concept Ninety is debuting at the Concorso d’Eleganza Villa d’Este and was designed by America’s own Roland Sands Design and the BMW Motorrad design team. With that in mind, we turn our attention to the BMW Concept Ninety. Photos and video are after the jump of course, and leave your thoughts about the machine in the comments. Judging from its upload date on YouTube, this isn’t exactly a new video; but since it’s new to us, we thought we would share in what we’re pretty sure is the world’s first front-wheel burnout on a motorcycle. This unlawful exhibition of speed was perpetrated by the twisted minds down at Roland Sands Design, at their happy hunting grounds near the LA river. The front-wheel drive system comes from Christini (not Ducati Corse), while RSD’s Rodney Aguiar built the 450cc super single motorcycle that AWD system is mated to for an episode of Nitro Circus. Check the video out after the jump. We’ve had our fair share of controversial articles here on Asphalt & Rubber, with some posts dealing with hot-button topics, while others were designed to stir the pot a bit. Usually though we know what sort of trouble we’re getting ourselves into, even before the first comment is left by a reader, but no article caught us by surprise more than our initial coverage of Roland Sands’s latest custom project: the RSD Desmo Tracker. A flat track bike with a Desmosedici RR heart, there’s something about taking the MotoGP replica and turning it into a steel-shoe racer that elicits a very visceral response from Ducatisti and flat trackers alike. Maybe it’s because those two parts of the motorcycle world are just that far apart — one is reserved for dentists having a mid-life crisis, and the other for back-woods hillbillies that can only turn left. Maybe it’s because people think that if you own a $40,000 Desmosedici RR, the last thing you should be doing with the machine is making it something else. There’s no doubt that Desmo is the sort of thing little boys put posters of on their bedroom wall, so does tampering with Bologna’s GP opus change that childhood fantasy? We could delve into this topic further, but I doubt we’d get very far in the conversation. I will say this though, just like you can’t judge a book by its cover, you can’t judge a bike by its build progress. That being said, this post is one of those articles that we see trouble brewing a mile away. A friendly reminder: the comments section is below, near the bottom of the page. Making custom bikes of his choosing in Southern California is pretty lush gig, and helping prove the point that we should give up this crazy blogging lifestyle, Roland Sands Design has come up with this “typical day in the office” video. Tracking a promotional photo shoot that starts in the RSD shop, and ends in some apocalyptic industrial park, there’s a bevy of women, motorcycles, and Roland. After crushing a small mutiny here in the office (we must not have enough bikes for our decor here in the A&R office), we can share with you the video of a typical day in the Roland Sands Design office. Employers beforewarned as your workforce may start complaining of unfair working conditions. Employees beware, not all the scenes here are strictly work safe. Those boys in Southern California are at it again, as Roland Sands Design has taken on building a customer’s Ducati Desmosedici RR into a custom street tracker. According to RSD the lucky owner is Justyn Amstutz, and this zero miles Desmosedici RR is one of three in his stable. With 989cc 200+ hp V4 motor that revs to 16,000 rpm, RSD hopes to take Ducati’s beast of a street bike, and turn it into something that requires a steel boot to ride. 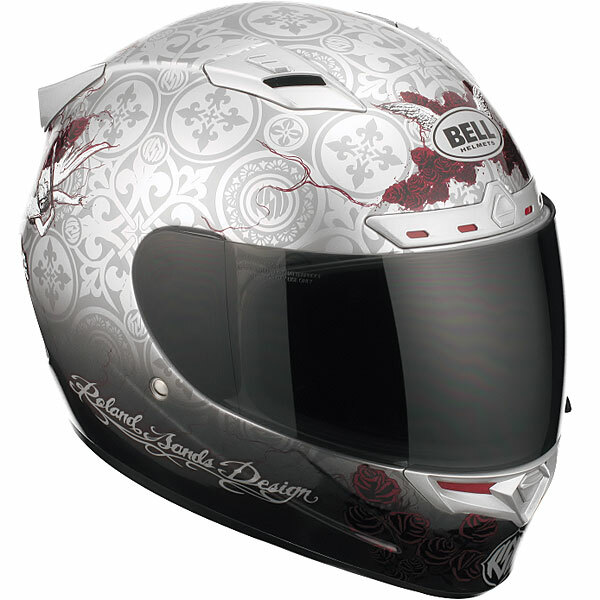 We’ve had more than a few Bell Helmets rolling around the A&R office these past months, and one of the things we’ve really liked from this American-based company is how it has teamed up with notable designers from inside and outside of the motorcycle industry to bring attractive and fresh looks to consumers. While it’s been the Bell Star and Vortex that have been keeping our brains firmly in-between our ears, it’s the designs by Roland Sands and Jona Cerwinske that have been attracting us to Bell, and propelling the company back into the motorcycle helmet market as a whole. Taking some time to talk to Roland Sands at his new Southern California shop, Bell Helmets has put together this short video with the former motorcycle racer turned designer. 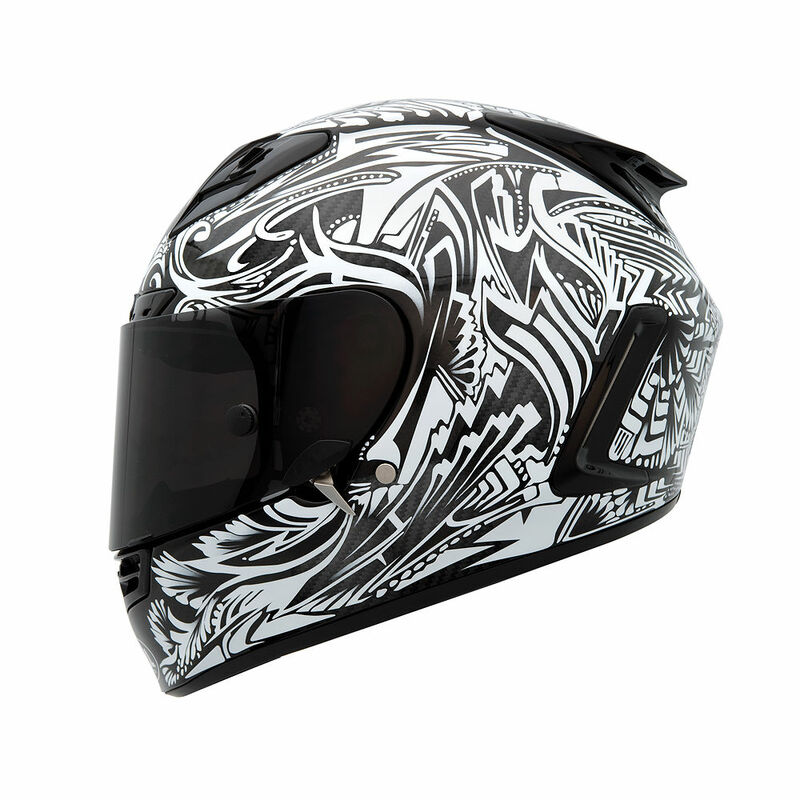 While Bell and RSD are obviously out to hock the new gold-leaf-over-carbon fiber “Speed Freak” helmet they’ve created for 2011, Roland has some interesting stories about his process and growing up around motorcycles…the photography is spectacular too boot. With Bell in the process of restoring its name after having its motorcycle helmet division operated overseas by another company, we expect to see more videos in the future like the one after the jump that engage riders with this once-defunct American brand.